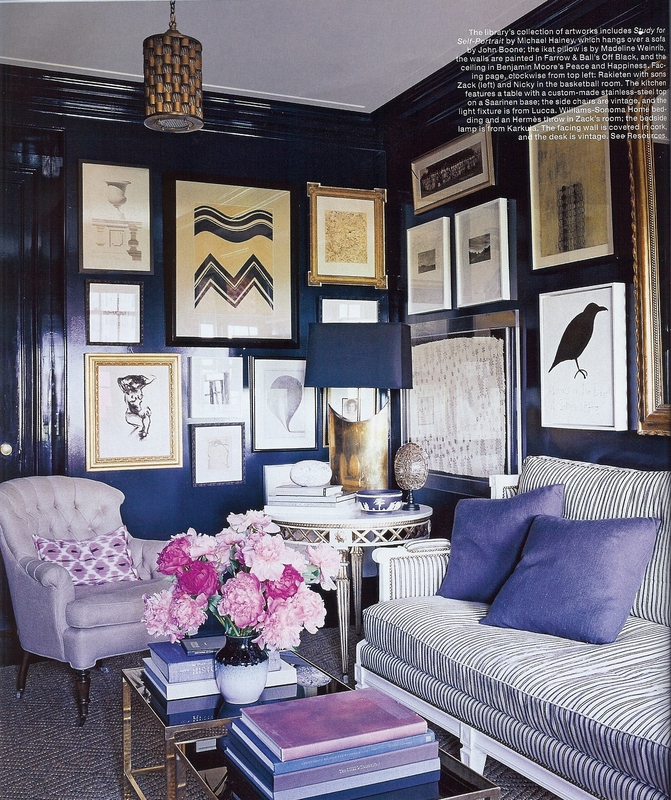 Gallery walls are all over magazines and blogland and we wanted to get our two cents in on the subject. 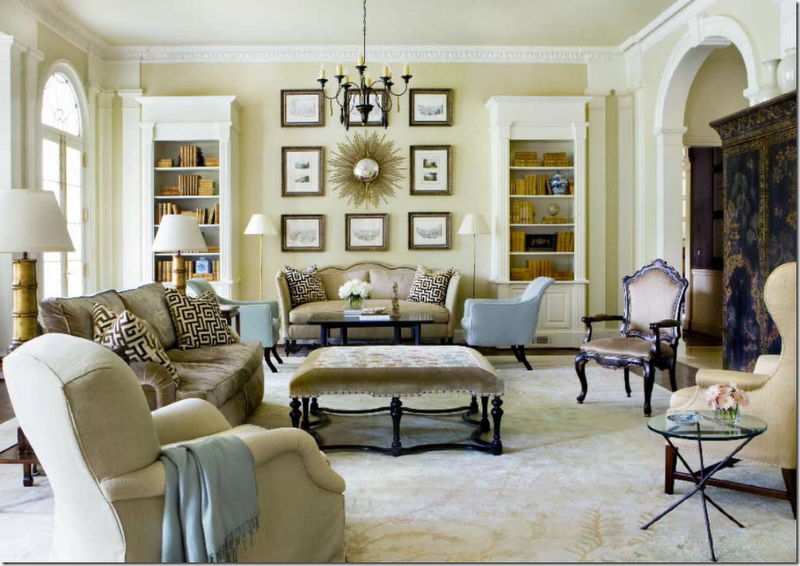 There are several different ways to create a gallery wall. The first uses several pieces of art in the same sized frame and usually of similar subject matter spaced equally apart. 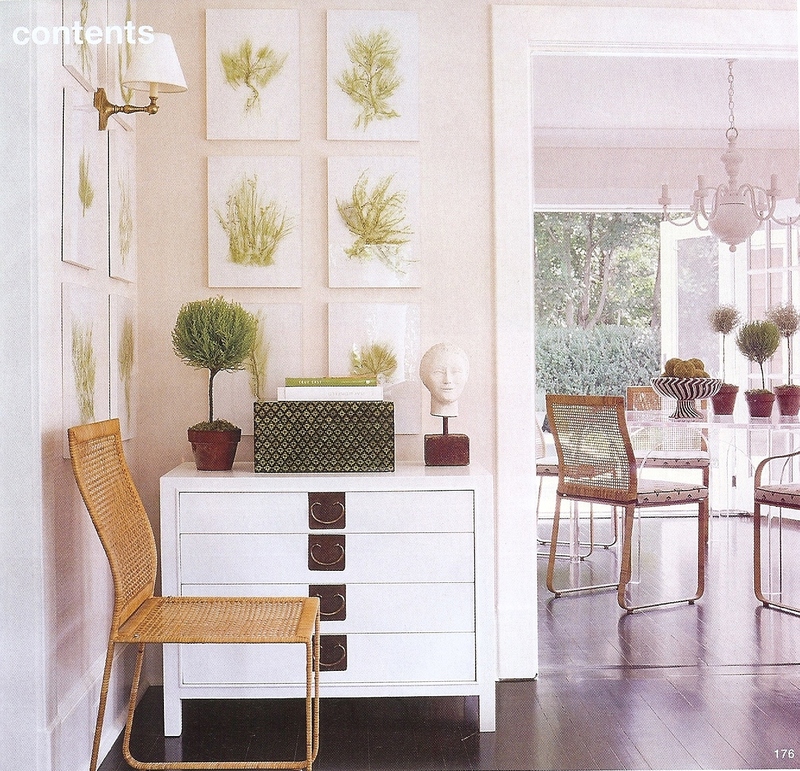 The orderly arrangement makes a graphic statement on the wall and highlights a collection. 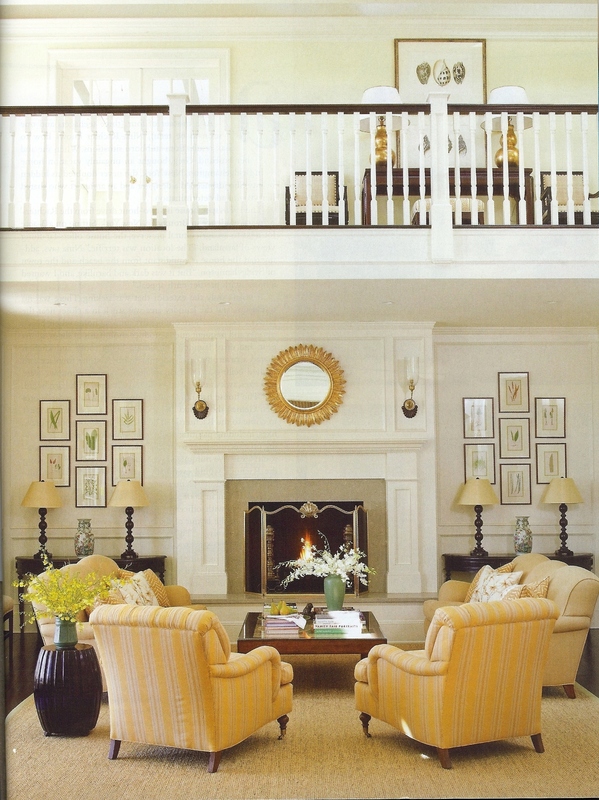 Bringing the frames to floor creates more impact. This arrangement is still very orderly but is a bit more playful since the frames are staggered. This gallery uses paintings of similar subject matter (most likely by the same artist) of varying sizes. Because each piece is framed identically and hung together the collection has more impact than each piece would have had on it’s own. I love the way the starburst mirror softens all of the rectangular lines of the frames. 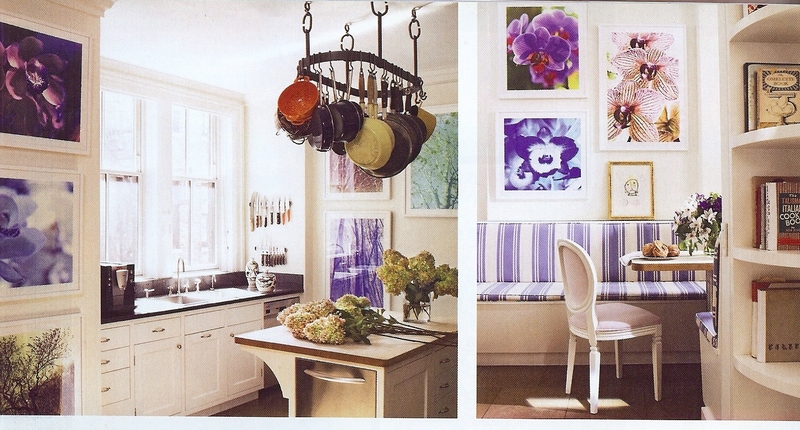 This entire kitchen has become a gallery. All of the artwork is similar and is in similar frames but isn’t perfectly lined up. This is one of my favorite ways to create a gallery wall. All of the art is different and in different frames of varying size but they work well together. They’re hung in an orderly manner but feel as though the collection has grown over time. 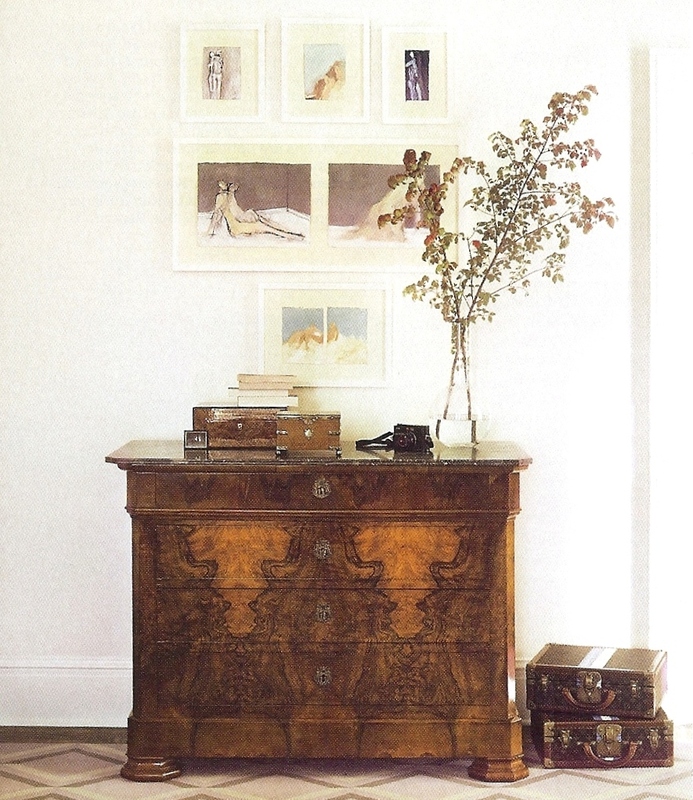 Picture ledges are a great way to display an art collection. 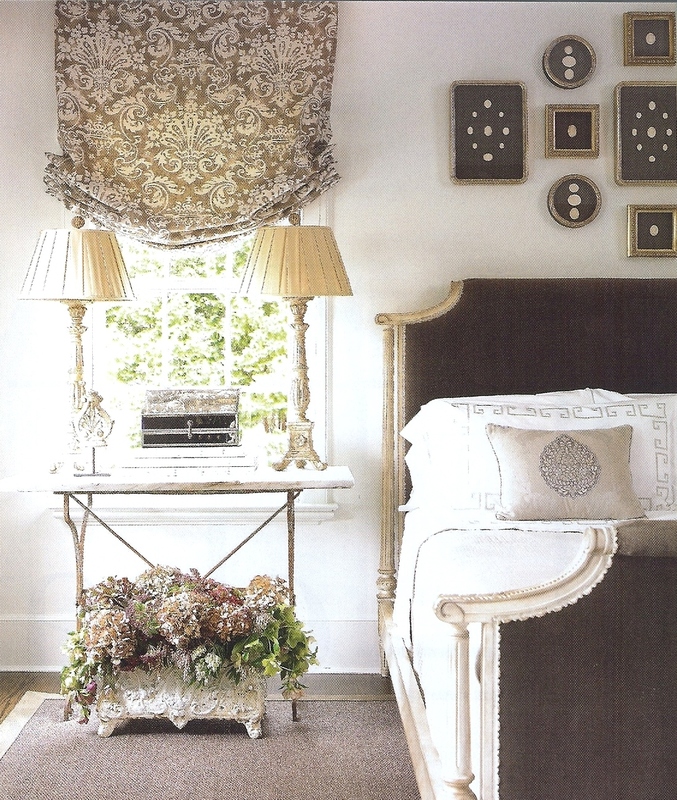 I love the fluidity of the arrangement. Nothing is permanently hung and can be moved and added to easily. I also love that the floor is used as an additional picture ledge (although the photo at the end of the hall kind of freaks me out). 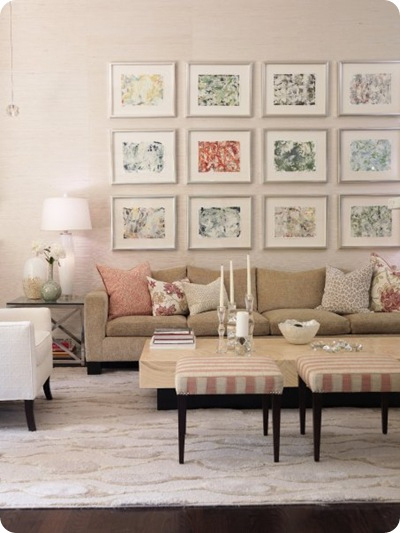 Prints, paintings, and photos aren’t the only things to create gallery walls with. Framed intaglios, coins, and stamps are great too. So are you loving gallery walls or are over it?